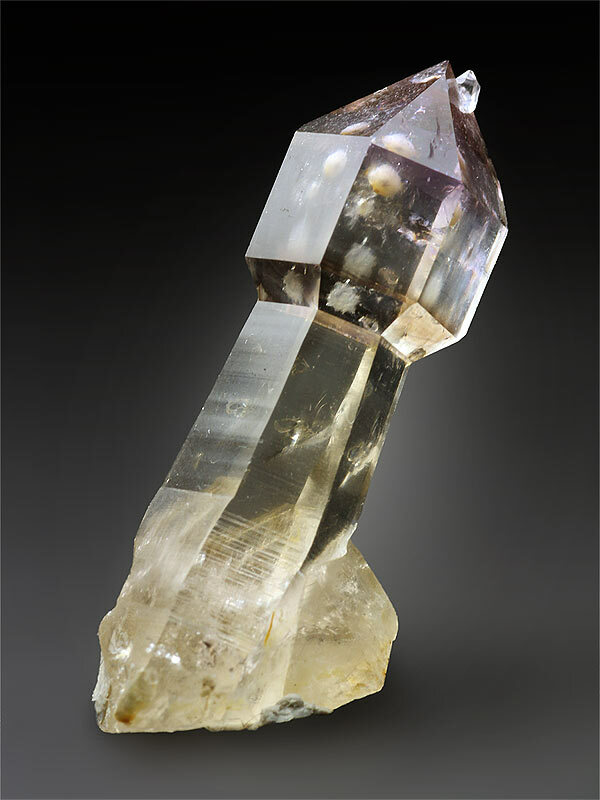 This specimen consists of a razor-sharp, pristine quartz crystal scepter. The crystal has pronounced purplish amethystine and smoky quartz crystal phantoms within. The crystal has gem clarity and also hosts some unidentified crystalline inclusions. The termination also hosts a tiny pair of quartz points prominently perched on top.